Happy National Beer Day, A.K.A the greatest day of the year! 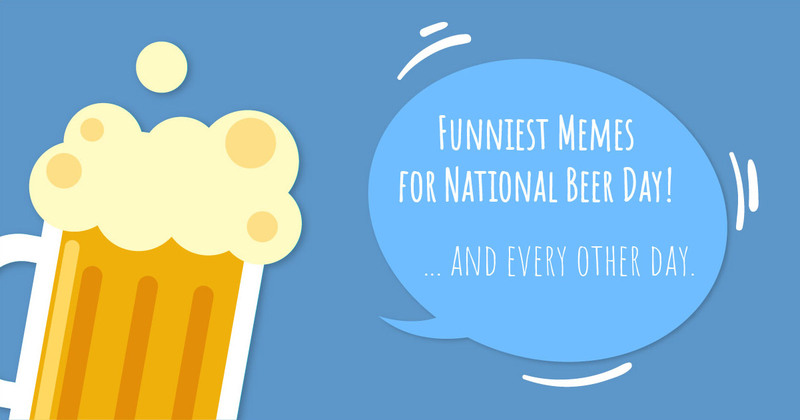 Here are some funny beer memes to help you celebrate! National Beer Day is celebrated on August 2nd. To party with your friends and drink your favourite beers. To celebrate those who are responsible for brewing us great beers. To unite the world by celebrating beers of all nations, together on one day. No matter how you choose to celebrate National Beer Day, we hope you’re doing something you love with a beer that you love. So, you’re a Pisces! You are gentle and emotional, which may not be too surprising as you are a water sign. What is the perfect beer match for a Pisces? This Halloween, you can drink beer while looking like a beer! This list of Halloween costume ideas is in no specific order. All these beer costumes are equally awesome.